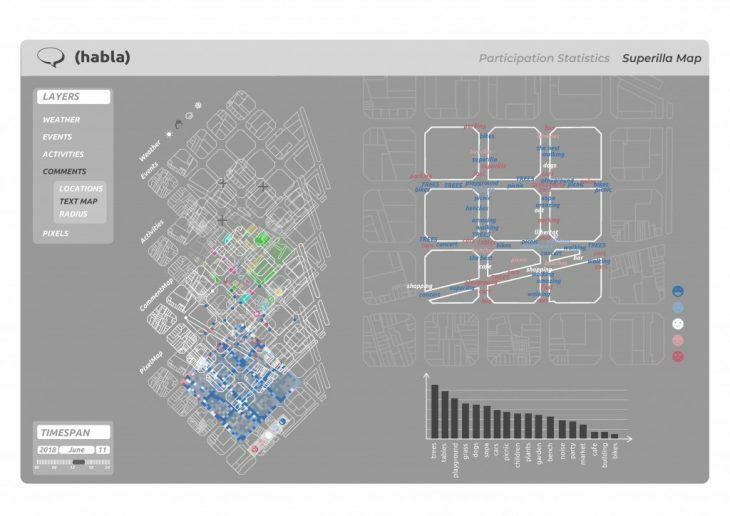 Superilla is an area of 3×3 blocks in Barcelona which was implemented in 2016 with an intention to reduce the amount of cars. The rapid transition of the area caused very different reaction from local people: some of them love it, some of them hate it. The community division was expressed maily on Facebook groups; though the voice from both communitites is too abstract and not really heard by local administration. 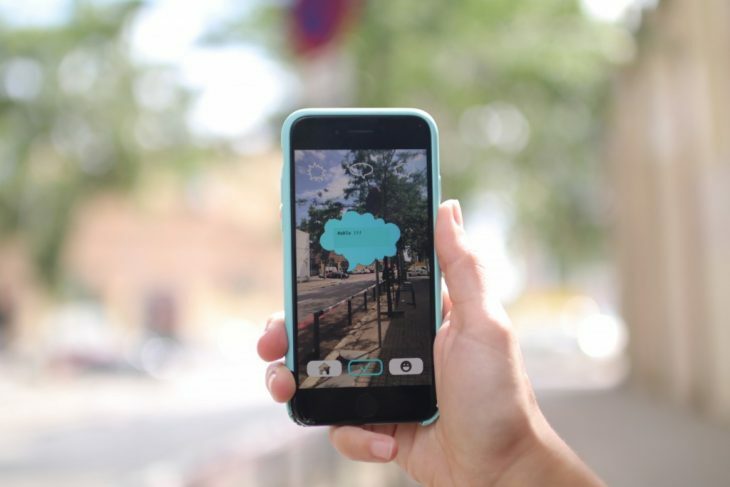 This miscommunication between two groups of local people and their administration triggered the idea of the habla app: what if people could leave their different opinions on public space? 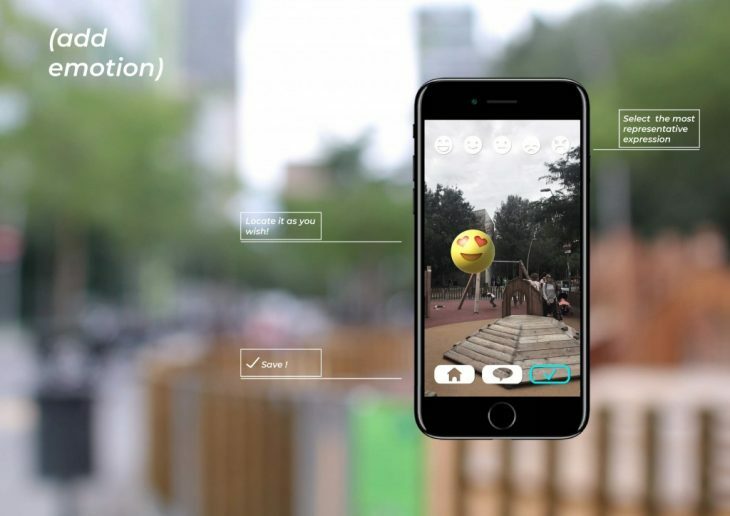 what if they could express how do they feel in specific areas or about certain urban objects? 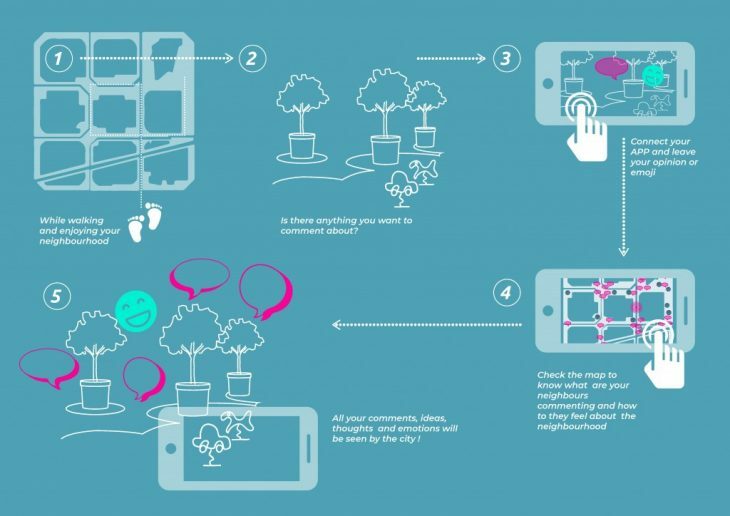 what if they could see what their neighbours think about their area? 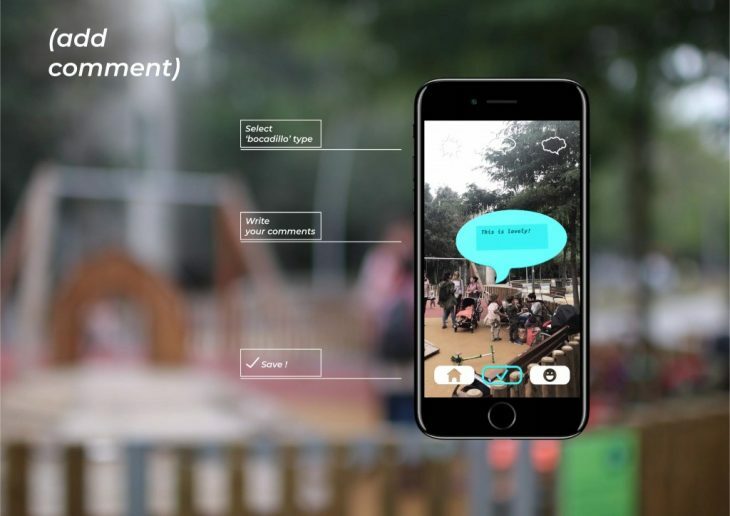 habla is an Augmented Reality app which consists of 5 main scenes: 1) login, where the user fills basic information (age, gender, occupation); 2) the map, where user can see all the feedback in the area; 3) add comment (with limited amount of characters); 4) add emoji (chose from 5); 5) AR view, where user can see all the feedback left in the area by him/herself or other people. With the simple and entertaining use of the app users produce very dynamic data which is published on online platform. 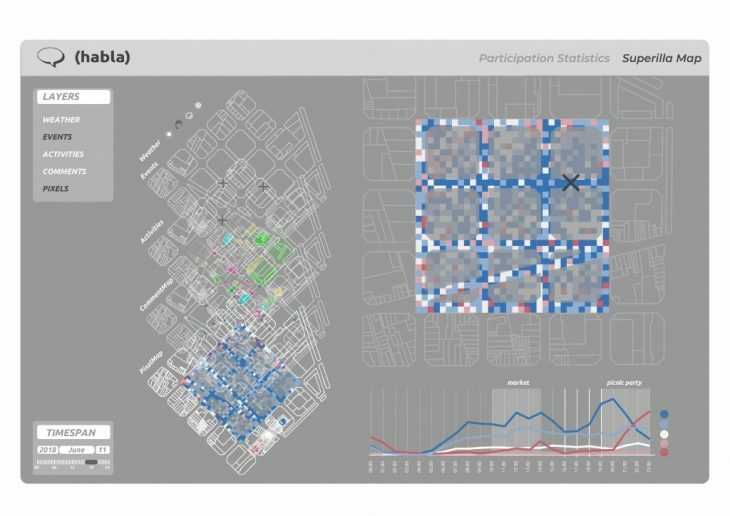 The data out consists of participants data (the data that user types on login), pixel map (emotional heatmap) and comments map (in 3 different formats- text map, comments’ locations and text within selected radius). Since all the generated data is very dynamic and the output is highly dependent on time the platform gives an option to overlay it with other dynamic datasets such as time, events, weather or activities on site. 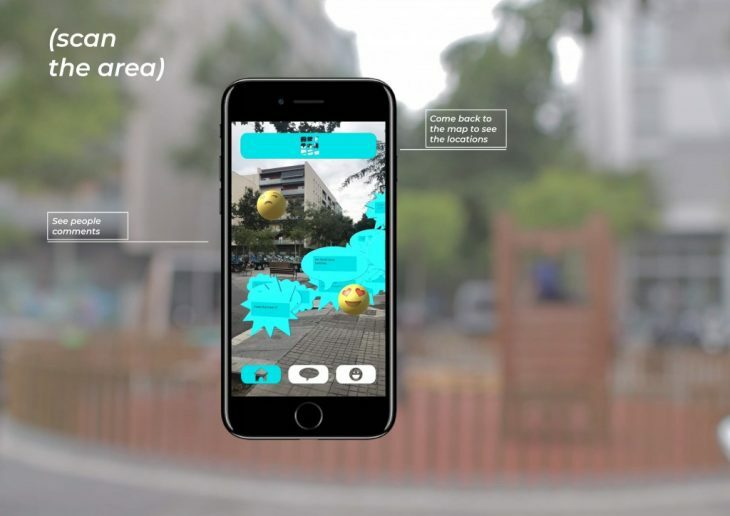 habla app is created with Unity and for objects’ geolocation it uses Firebase database.